Despite the fact that Snapchat has been around for some years, few marketers are utilizing the platform to target their services to some 166 million daily users worldwide. 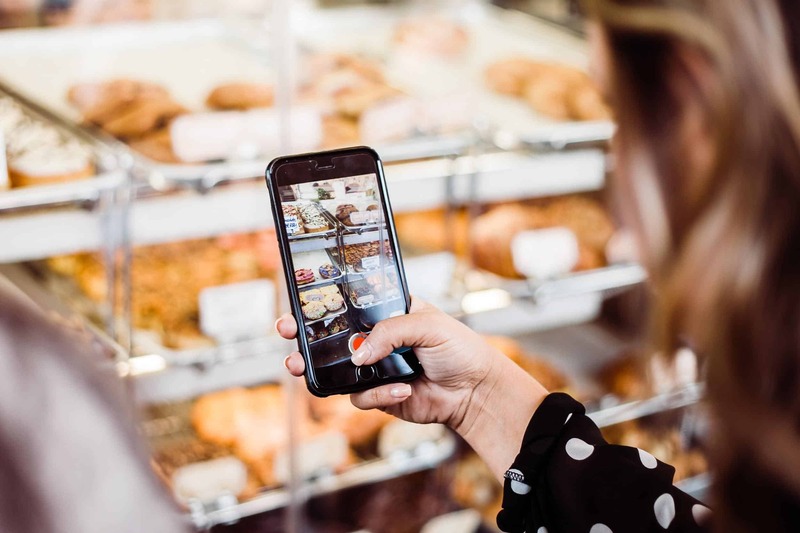 Earlier this year, Snapchat launched its Snap MMM Partner Program, specially designed to help companies monetize their content within the platform. There are myriad ways you can start to generate hits through Snapchat’s seemingly ‘lighthearted’ platform. Here is a guide on how to use Snapchat for marketing purposes, regardless of your budget size and follower count. You will need to set up under a memorable profile name. Use your business’ name, but if it is somewhat generic, include an industry keyword so that you can differentiate yourself from similarly named accounts. Your SnapCode is a QR code you can publish anywhere to help you promote your Snapchat account. Make sure you switch out your other social media profiles with this image to help you get the word out. You can also publish it to your blog posts or overlay the image onto your YouTube videos, giving potential followers the opportunity to take a snap through their smartphone and add you in an instant. Snapchat is supposed to be a platform for casual use. This is all well and good, but as a business, you will need a strategy to get your followers hooked. As you experiment with Snapchat content, think carefully about your brand message. You want to be instantly recognizable on the platform, so you will need a strong visual identity. Think about your tone of voice in all broadcasts. Are you going for ‘friendly and approachable’ or ‘serious’ in your content delivery? To help keep your Snapchat business account on-brand, create some guidelines for your staff. State your company’s values, your aesthetic and tone of voice. Anything that doesn’t fit into your house style for Snapchat communications should be cut or re-worked to make it suitable. 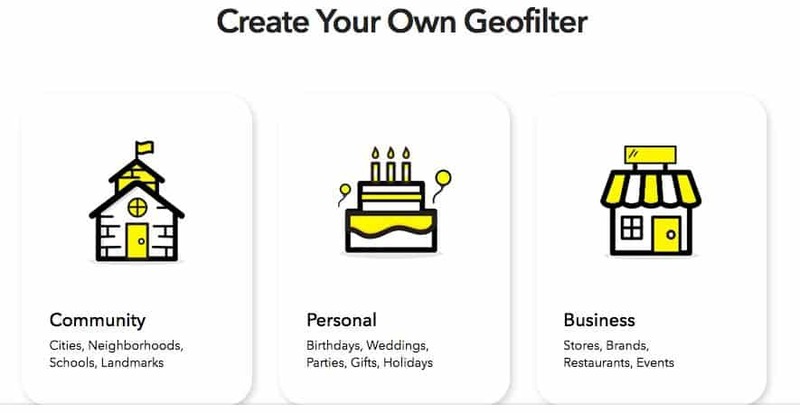 Snapchat users in the US can now create branded filters, which can be applied to a geographical location for as little as $5. Head to Snapchat.com and head to the Create Your Own Geofilter page. You also cannot do things like cover most of the screen with your company logo: Snapchat will reject this submission. Think about the kind of images you would want to play around with if you were just an everyday user. Hire a designer and try to think ‘outside of the box’ to come with an idea that is more than just Word Art. Once you have settled on your design concept, ensure all background layers are removed from your draft and save it as a PNG file. Head back to Snapchat.com and upload your new filter. Now you will need to select your geographical ‘fence’ and length of availability. 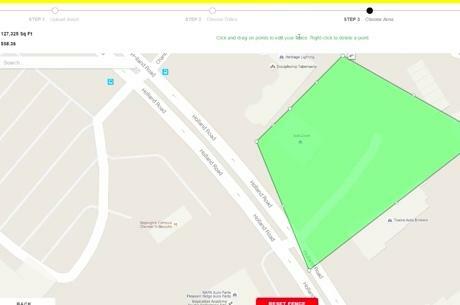 Geofilters cost as little as $5 for 20,000 square feet. Draw a line around the areas you would like covered under your filter, make payment, and you’re done. Once you have submitted, you may have to wait up to 24 hours for Snapchat to approve your filter design. If you fail to meet their guidelines for use, don’t worry, the team will offer you helpful hints on how you can ‘tune it up’ and make it suitable for your campaign. Estimated time: 2 days (designing the concept and waiting for approval). As mentioned previously, influencer marketing is a great way for brands to build audiences. By piggybacking onto these larger accounts with thousands of followers, you can pay to get a product review or shout-out. You can also gain some of these opportunities for free if you’re a trusted and well-known brand. The bar is set quite low on Snapchat. The costs for smaller brands looking to promote on the platform are minimal compared with the purchase of a major print or television ad campaign. DO NOT underestimate Snapchat’s ability to attract and hold the attention of internet users. Figure out how much you’re willing to invest and get searching for leading voices. Estimated time: 6 weeks (building relationships, getting proposals accepted and promotions executed). You will need to do all you can to push people to your Snapchat account, to help you build a strong following. If you’re an e-commerce store set up using software like Shopify, there are a lot of great referral apps – like ReferralCandy – that can help drive traffic to your website by incentivizing followers. Installation is easy and requires no coding skills. Get users to send you pictures of themselves and your product in action. Give prizes and shout-outs for the best entries. By posting branded hashtags and shortened dedicated URLs, you can also push people to your site for different reasons. Save everything you do by downloading your Snapchat stories. If you come up with a brilliant story or viral campaign, post the captured clips directly to your blog. The same can also be done for your Instagram, Facebook Live Stream, Periscope and so on. There is no ‘hard and fast’ rules for marketing with Snapchat, as the potential for promoters on this platform is really in the infancy stages. However, we do know that it is relatively cheap to host a significant campaign that could be seen by millions upon millions of people. Brands that think creatively, like Gatorade, will benefit the most from what Snapchat has to offer social media marketers. 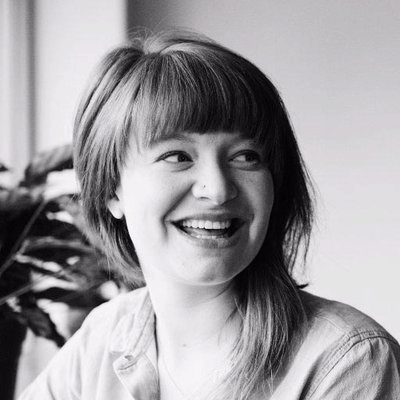 About the author: Victoria Greene is a brand consultant and freelance writer who runs a blog called Victoria Ecommerce. Here she offers expert advice to brands looking to ‘hack’ the newest social media channels to bring in sales. >Despite the fact that Snapchat has been around for some years, few marketers are utilizing the platform to target their services to some 166 million daily users worldwide.